In the throes of a pleasant candy-corn headache the other day, I wondered what we should post to the blog in celebration of tomorrow’s big holiday. What does the library hold related to candy, I wondered? So I opened Virgo, put on my headphones and hit play. On deck was the Flaming Lips’ cover of the Beatles’ Sgt. Pepper’s Lonely Hearts Club Band album. Research always benefits from an apt soundtrack, and this over-the-top techno-celebration suited my purposes. With a list of possible items in hand, I wandered the stacks, wishing I had a stash of Junior Mints in my pocket for this journey (but never fear, even Junior Mints cannot tempt me to break our no-food-in-the-stacks rule). 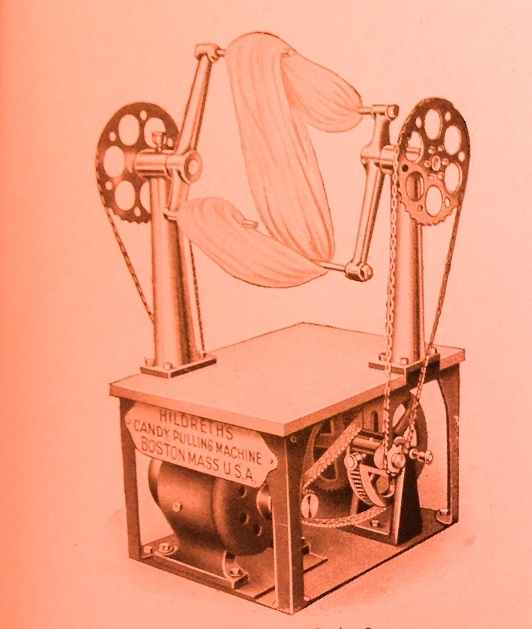 Among the treasures I discovered, one in particular made my tastebuds buzz: a turn-of-the-century trade catalogue of the Savage Bros. Co., a Chicago manufacturer of candy-making machines since 1855 (They’re still in business today!). Enjoy the following selection of images (preferably while consuming something terribly bad for you) and have a happy Halloween! Ah, pulled taffy. Who hasn’t enjoyed the unique pleasure of stumbling across one of these machines in action in an olde candy shoppe in a seafront or mountain resort area? Truly, only the Zamboni exceeds it in mesmeric power. 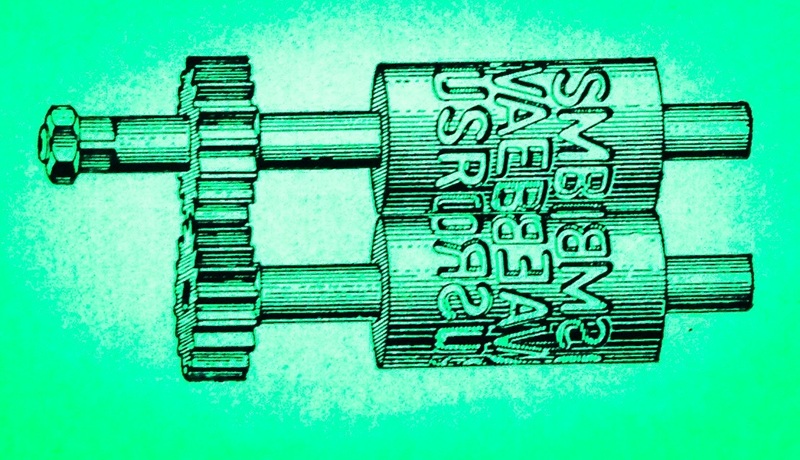 Note the manufacturer name on the image here: perhaps Savage Bros. distributed this east-coast product to the Midwestern market. 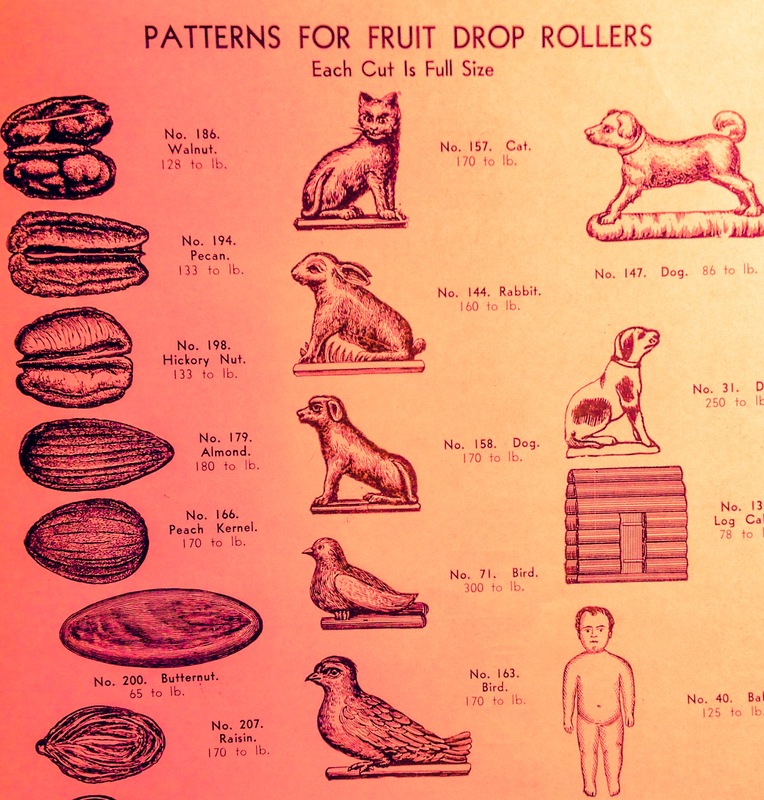 Fruit-drop candy machinery is well-represented in the catalog, and this example clearly reveals the production method. Sugary goodness goes in on the left as the two rolls turn, popping out shaped candies on the other side, which roll down the plank, cooling as they go. Yum. 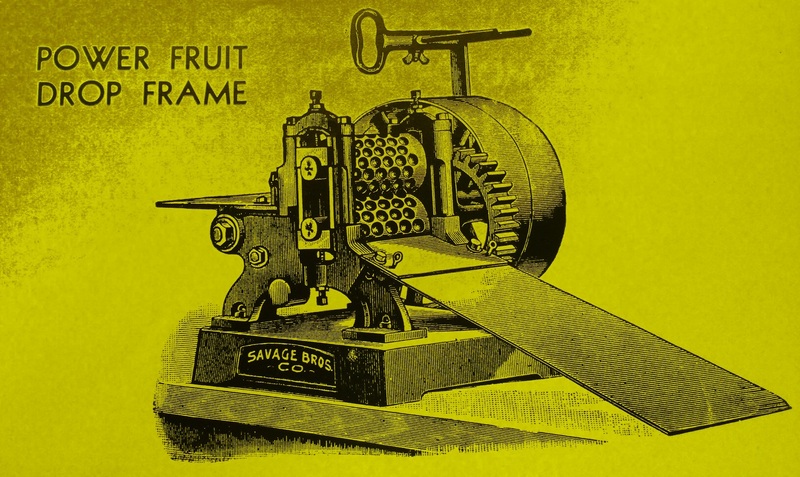 This alphabet fruit-drop roller mechanism is DIVINE! What bibliophile wouldn’t want to receive a gift of a bag of alphabet candies? Few things are as creepy as baby dolls that have the faces of adults. But I think maybe baby candy with this problem is creepier. 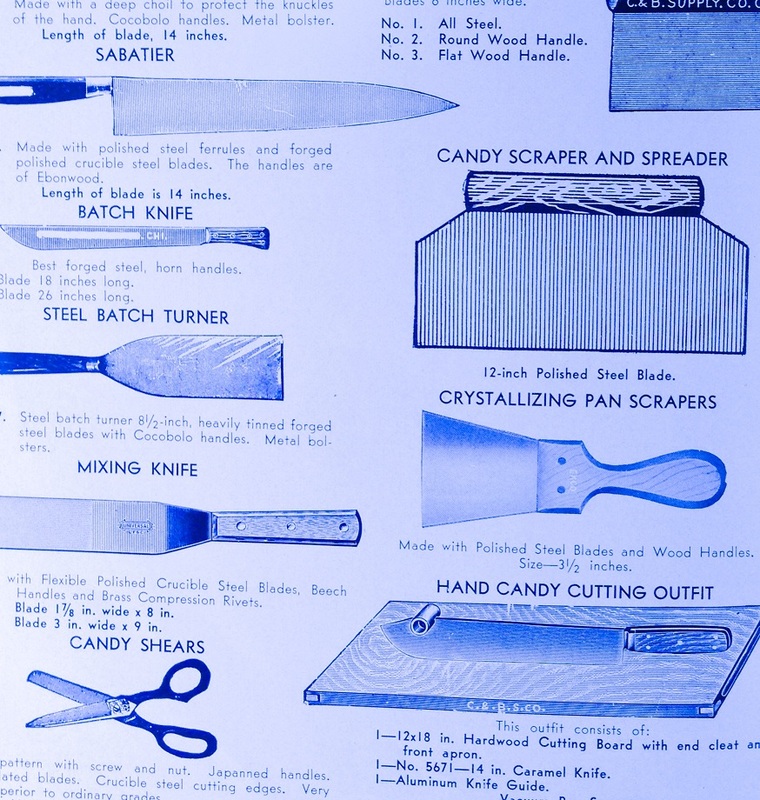 The catalog makes me want to take up candy-making. 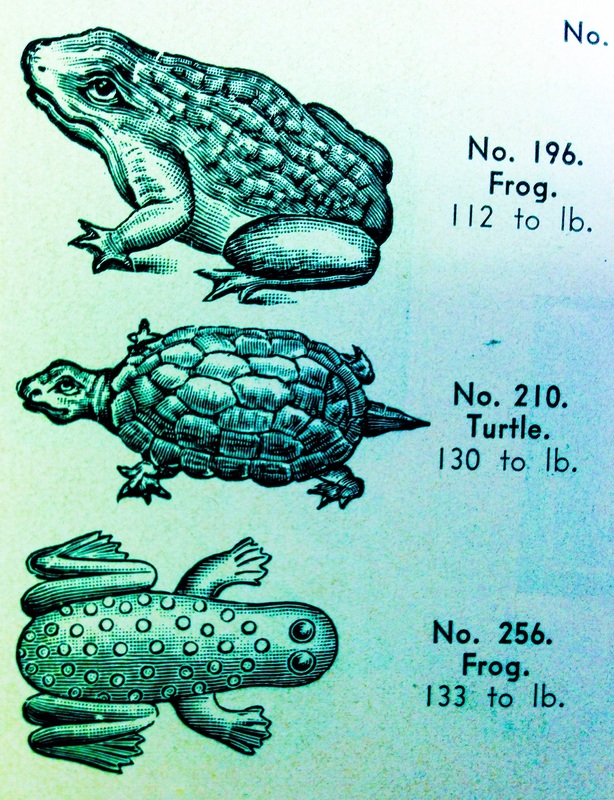 These tiny creatures would make wonderful Halloween treats, especially if they were made in a creepy brownish-green. Deeeeee-licious! 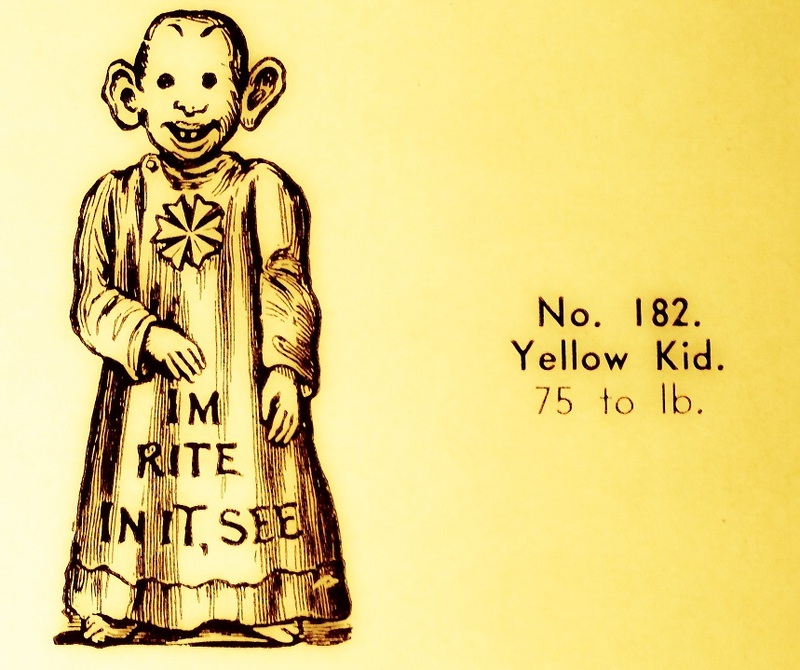 There was even a fruit-drop mold for the Yellow Kid, a popular cartoon character of the period. Seventy-five of this odd little figure could be rolled out of a pound of sugary goodness. Speaking of blades, all sorts of candy-making hand tools are available in the catalog, alongside large and small industrial machines. 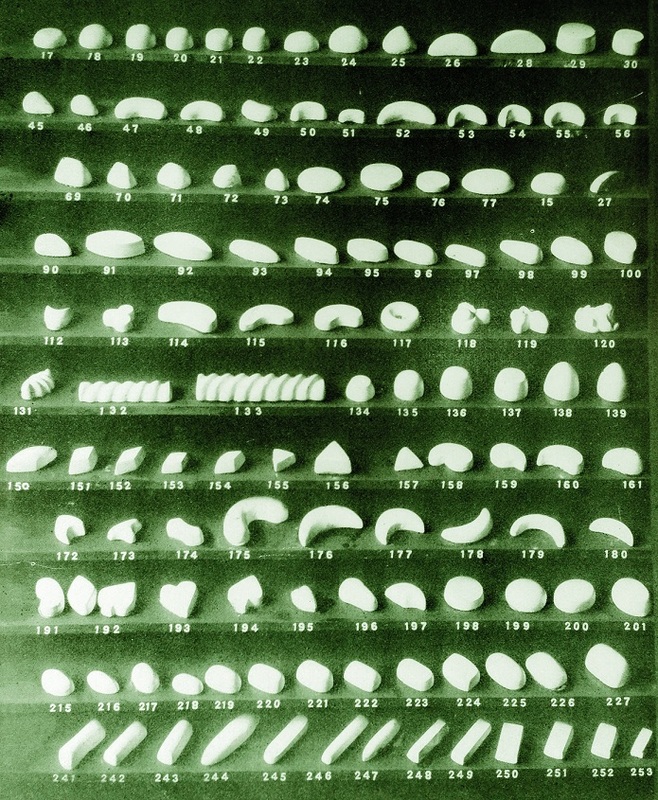 These lovely “plaster paris starch moulds” resulted in highly detailed shaped bonbons. No candy corn shape, alas. Savage only offered molds for an entire ear of corn. Some products feature factory workers for scale. 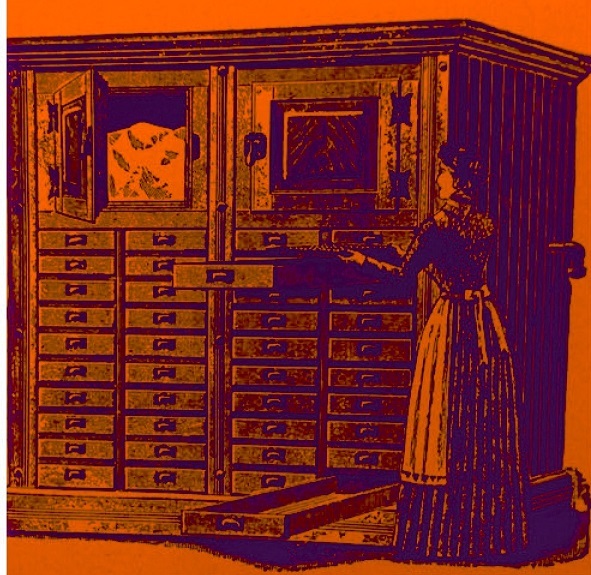 Here, a woman places pans of chocolate candies in a cooling cabinet; a block of ice is visible in the open door on the left. Maybe I’ll dress as her for Halloween next year. Blogger’s note: all images have been shamelessly cropped and altered for full sugar-high effect. No images are left unscathed. To view the book in its original condition, request TS199 .A5 H4 no. 24 in the Special Collections reading room. As always, please wash your hands of all candy residue before entering the reading room. This entry was posted in General, Uncategorized and tagged Albert H. Small American Trade Catalogs Collection, candy, halloween by Molly Schwartzburg. Bookmark the permalink.